Bullet Journaling has been a hot trend for a little while in the planner and getting organized communities online. 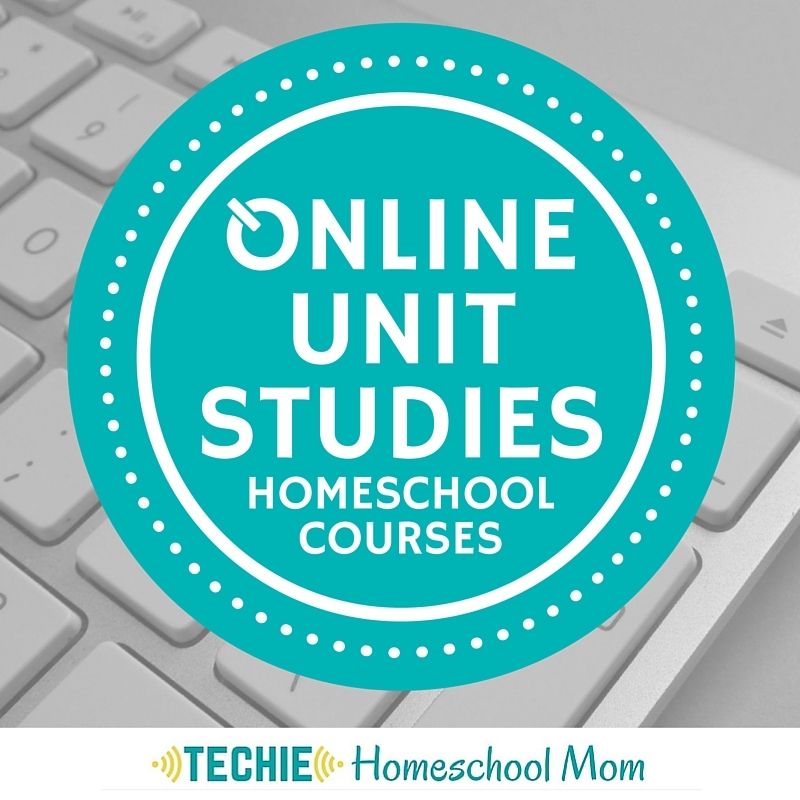 If you love to-do lists and checklists, this is something you don’t want to miss. I admit I was a little leery at first, but now I’m glad I’ve started using one. 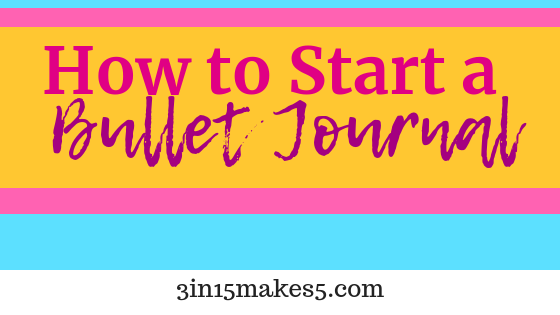 In this post, we will talk about how to start a bullet journal as well as show you what I use for my bullet journal. The bullet journal is an analog system, meaning you don’t need anything more complicated than a notebook and a pen or pencil. While it’s very customizable, and you’re certainly welcome to change things around, in this article, we will walk you through the setup for a traditional bullet journal as first introduced by Ryder Carroll from BulletJournal.com. Use it as a starting point, get comfortable with the basic system and then change it from there. You’ll need a notebook, a pen, and a little bit of time to get started. The type of notebook you use is up to you. The traditional style is a grid or dotted paper, but I find even ruled or blank pages work just fine. I started with lined paper and three rings. The idea with a bullet journal is that you set aside two pages for your index and then record things as they come up throughout your day, week, or month. At the beginning of the month, you set up a monthly page. This is your space to record appointments, anniversaries and the likes. Some bullet journalers will simply make a list of 1-30 (or 31) and then leave space to note appointments as they come up. Others prefer to draw a more traditional monthly calendar grid over two pages. Try both and see what works better for you. 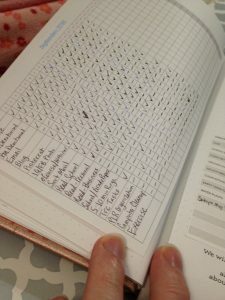 As you draw each monthly grid or list at the beginning of the month, make a note of what page it is on in your index. There’s no wrong way to do it. Pick the key system that seems most intuitive for you and start recording the things you need to keep track of and remember in your Bullet Journal. This can be thought of as the ultimate ongoing to-do list. At the end of the day, review your list. Things that have not been completed need to either be crossed out because they are no longer relevant and important, or they should be moved to tomorrow or another day. 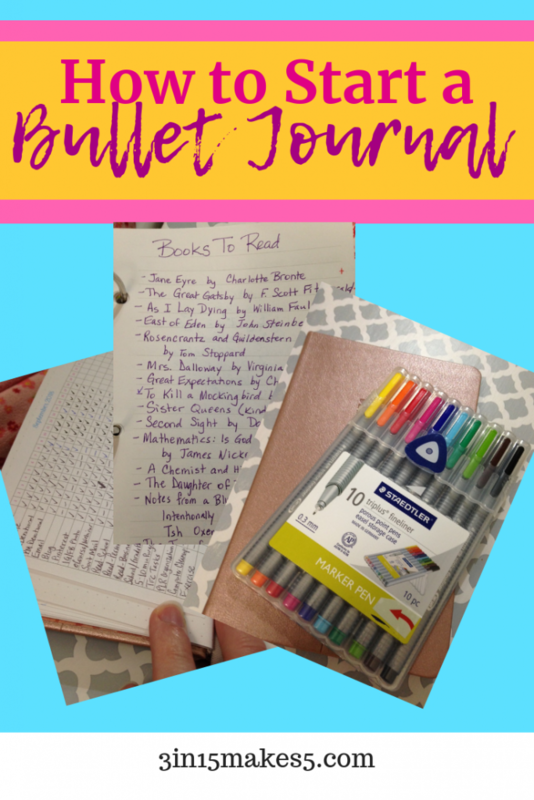 The following gives you some ideas of what is included in a bullet journal. The first page of your bullet journal will include your key. This will record the shorthand you use for your bullet entries. You can make up your own key, or you can use Pinterest or Google to look up different keys people use. Your next two to four pages will be set aside for indexing. This will allow you to find any collection quickly, or get to a particular month. Title each page as an index page and move on to the next section. With the original bullet journal setup, this is a two-page spread that records the coming six months. Many bullet journalers find it helpful to use a more traditional yearly calendar instead. This is a great place to record birthdays, anniversaries, or block out vacation time. 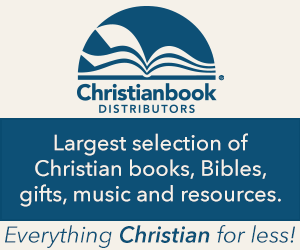 Add or note the page number and record your future log in your index. Start each month with a monthly log. Here you’ll record appointments and due dates. You can use a grid layout, or use one line for each day of the month. While this isn’t where you’ll track most of your tasks, the monthly log will come in handy for those times when you have a dentist appointment, or your daughter is invited to a friend’s birthday party. At the end of your day, or first thing the next morning it’s time to review your tasks and cross out and migrate anything that isn’t checked off. For example, if you didn’t get around to doing laundry today, draw an arrow through it and add the task to tomorrow’s daily task list. If you noted an appointment that came up yesterday, move it to your monthly list and draw an arrow through it in yesterday’s list. If something no longer applies then cross it out. Your goal is to deal with each entry from your daily list by completing it, migrating it, or crossing it out. The final part can be anything but are usually lists of some sort. 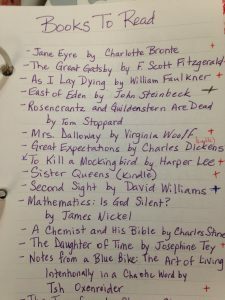 A perfect example is a list of books you want to read. Start the list on the next blank page. Title it and start jotting down the books you want to read. Make a note of the page you’re on and add this collection to your index page. Now when you want to add a new book title to this list or reference it to see what you want to read, you can easily find it via the index. Similar to a list, you could use a tracker. Tracking daily habits, water consumption, spending habits, and exercise are just a few ideas. 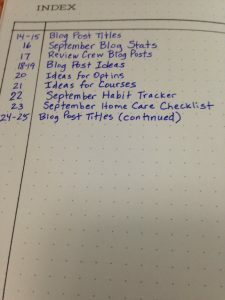 A lot of bloggers use bullet journals to keep track of their statistics. This can be done on a daily, weekly, or monthly basis. You might want another page to list out blog ideas, or have a schedule for posting. The ideas for bullet journal layouts are limitless. This can work for any person in any setting. 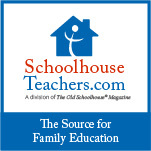 Homeschool? You can use it to help organize your days. Are you a parent? This could help you keep track of appointments, play dates, school events, etc. I’m in the process of transferring from a small three-ring notebook into a new bullet journal. I have pages for Blog post titles, Blog stats, Blog post ideas, a habit tracker, home care checklist, and other spreads planned out in my new journal. 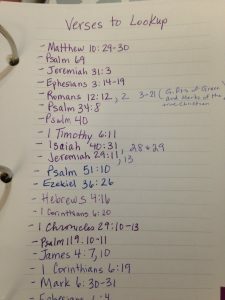 In my 3-ring notebook, I have pages for books to read, books read, verses to look up, eCourses taken, quotes, prayer list, master to-do list, as well as other miscellaneous lists. I’m still trying to break the habit of using sticky notes for everything. Now I’m putting thoughts into my bullet journal. I guess that’s another page: brain dump. Journaling is a blank canvas. You can customize it to your preferences. 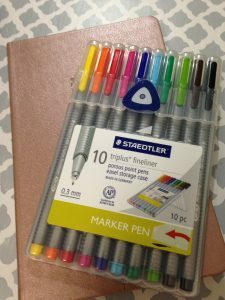 This is just a sampling of what can be used for a bullet journal. These would also make great gifts for any occasion.